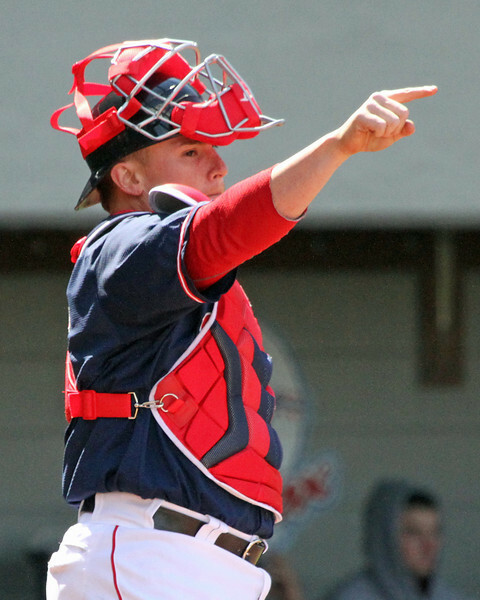 Pawtucket catcher Christian Vazquez has been selected as a late addition the Futures Game to compete on the World Roster. The Futures Game will take place at Minnesota's Target Field on Sunday, July 14 as part of Major League Baseball's All-Star festivities. Vazquez, 23, is a Puerto Rican catcher drafted in the ninth round in 2008. Known for his defensive ability behind the plate -- specifically, his throwing ability, which some scouts tout as among the best in the minors -- Vazquez has improved his hitting over the past two seasons. In 62 games for Triple-A Pawtucket this season, his first at the level, Vazquez has produced a line of .275/.331/.715. He's collected 16 doubles, three home runs and 19 walks through 229 at-bats. He's built upon on his progress in Double-A Portland last season, where he produced a .289/.375/.771 line in 345 at-bats. He's thrown out 39 percent (18-of-46) of attempted base stealers so far in 2014. Vazquez will take the roster spot of Atlanta Braves prospect Christian Bethancourt, who was recently promoted to the Majors. Vazquez joins Portland second baseman Sean Coyle, who will replace the recently-promoted Mookie Betts on the US Roster, as a late addition from the system. Vazquez is the #9 ranked prospect on SoxProspects.com.